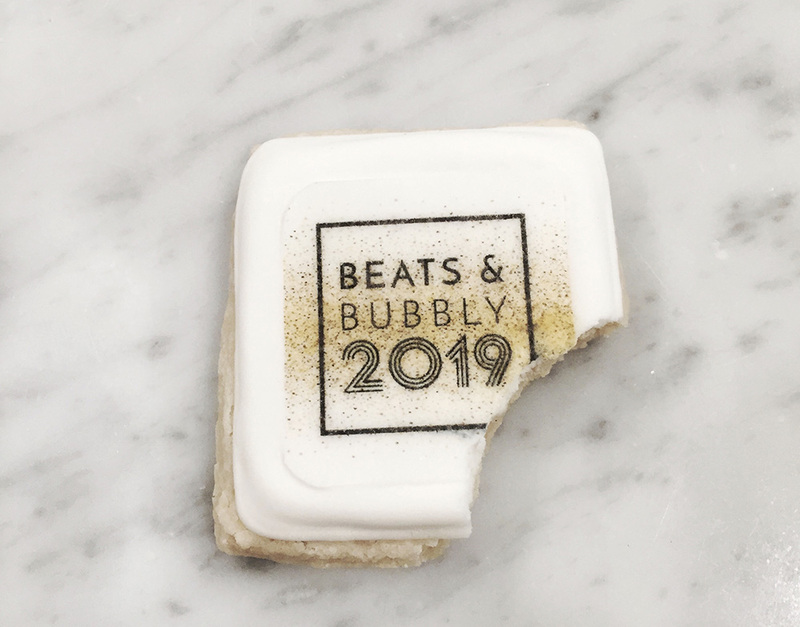 It's 2019 and the fourth annual Beats & Bubbly is over! How is that possible?! I spend all year planning this event and then it's gone so quickly! If you've followed me for long, you have definitely heard me talking about my NYE event, Beats & Bubbly! It's my largest and favorite event of the year, and it's hard to believe that this year was the fourth one! 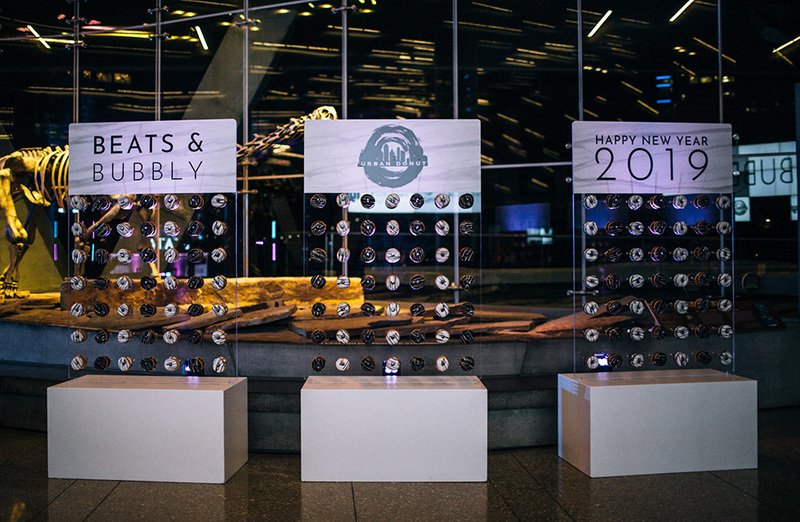 Beats & Bubbly started in 2015 to provide a safe and positive place for friends to ring in the new year. I didn't want to pay to go to a bar or club, get lost in the crowd at a hotel ballroom, or have to find a date for NYE! 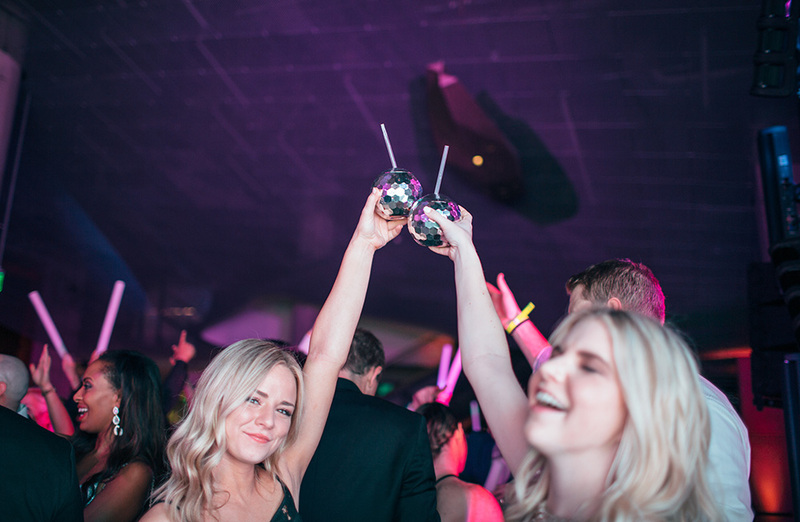 Beats & Bubbly gives friends a fun place to celebrate and it's all about partying in a positive environment. 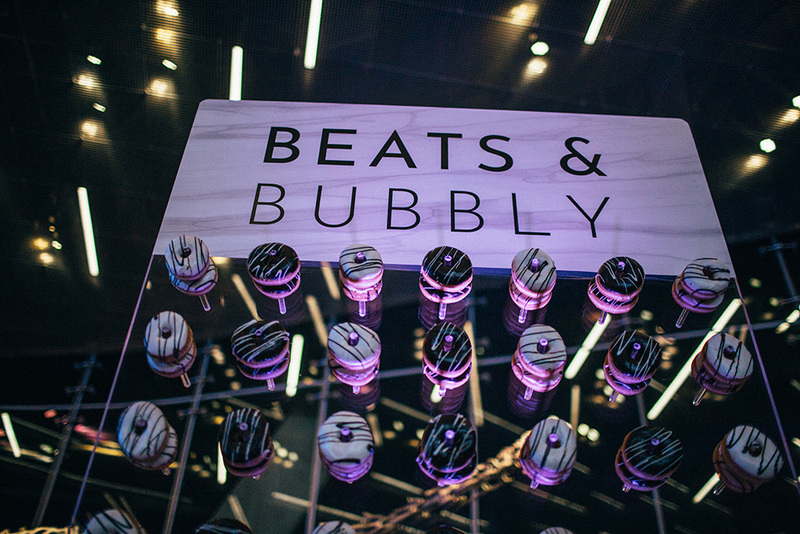 You can also read about how Beats & Bubbly started. 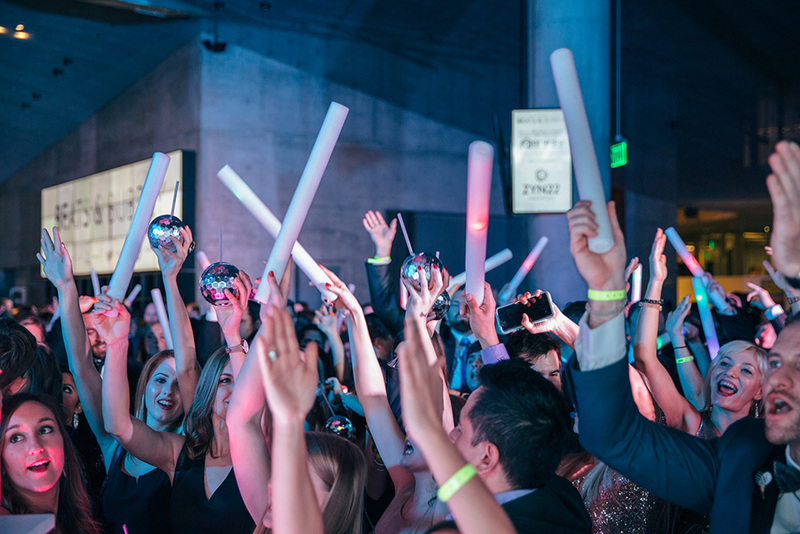 We celebrated at the Perot Museum with 5 levels of fun on New Year's Eve! 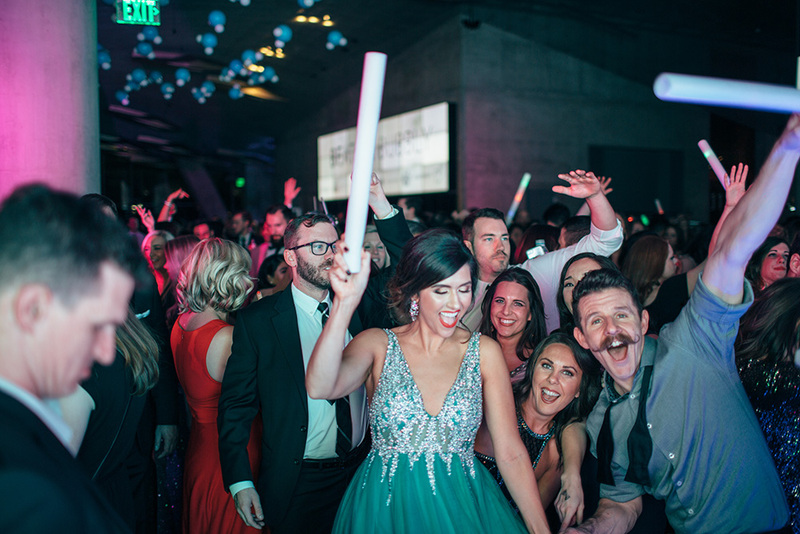 I loved being able to offer guests a variety of activities throughout the museums, including all the exhibits, photobooths, a donut wall, and of course a dance floor with a huge midnight countdown! We had an amazing donut wall, sponsored by Urban Donut, and it was a huge hit for the second year in a row and I definitely ate two of them! We love our friends at Urban Donut; these were the perfect midnight snack! Big thank you to Cryo1one and Stretchzone, two of our sponsors, for staffing our check-in table; if health and fitness are part of your 2019 goals, you have to visit both of them soon! This year's event started at 9pm with guests arriving at 9pm on the dot! 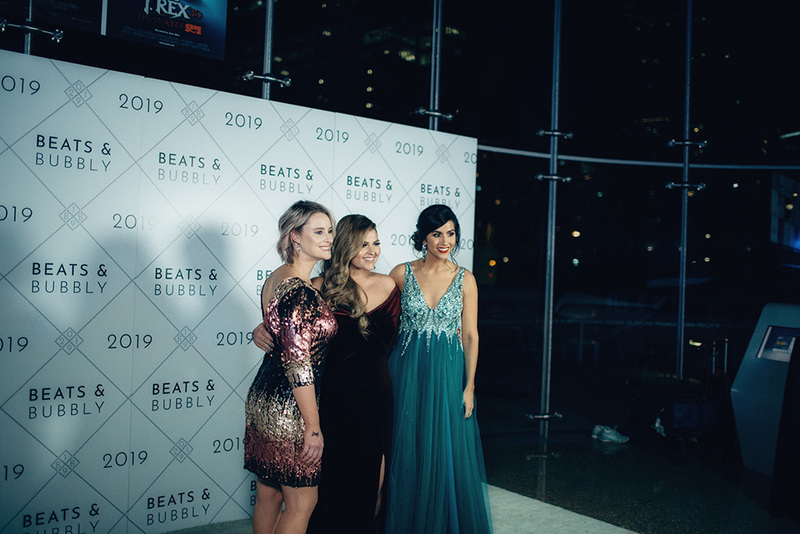 As soon as they entered the Perot Museum, guests could have their photo taken at our step & repeat red carpet (white carpet!). You can view our photos by Forevermore Photography and second shooter, Amber Boykin Photography. After their photo opp, guests could stop at our raffle station! We had four juicy raffle prizes from The Adolphus Hotel, Nordstrom, Zyn22, and Birdie + Cherry that guests could enter to win, with all proceeds going directly to our event beneficiary this year: Genesis Women's Shelter! 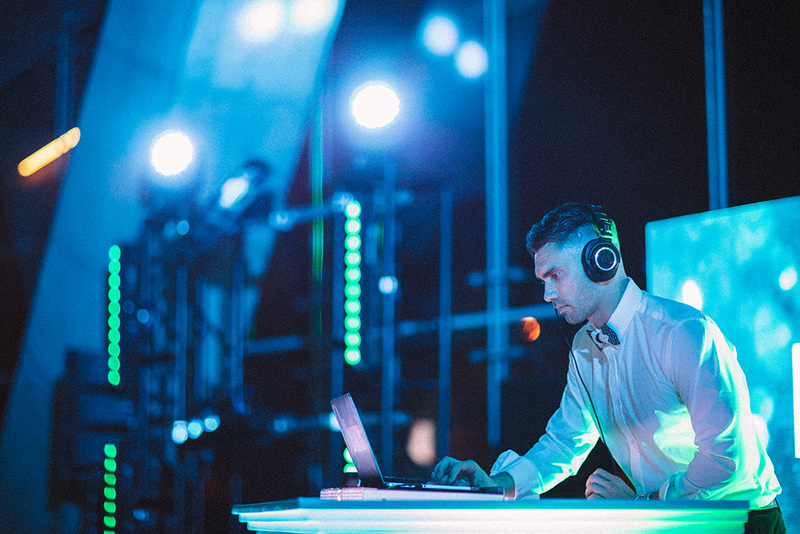 The dance floor on Level One was alive all night, thanks to DJ Bradford! 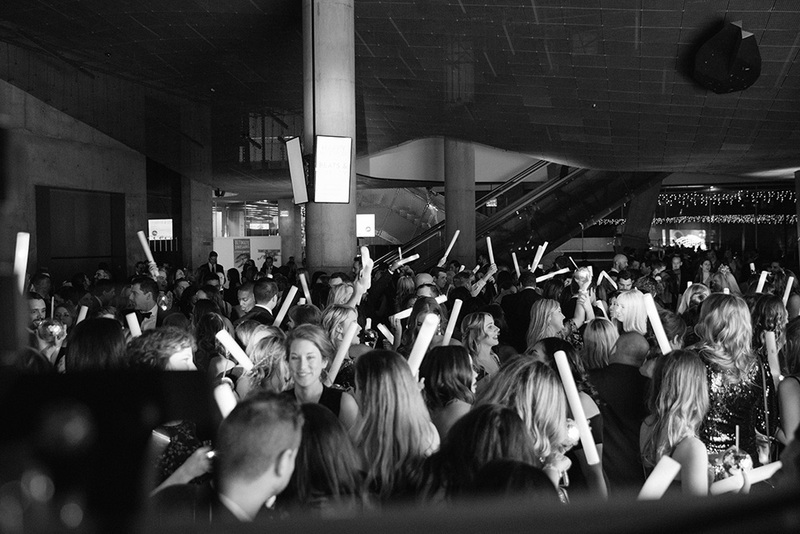 I loved seeing the dance floor full of friends and energy during the entire event! 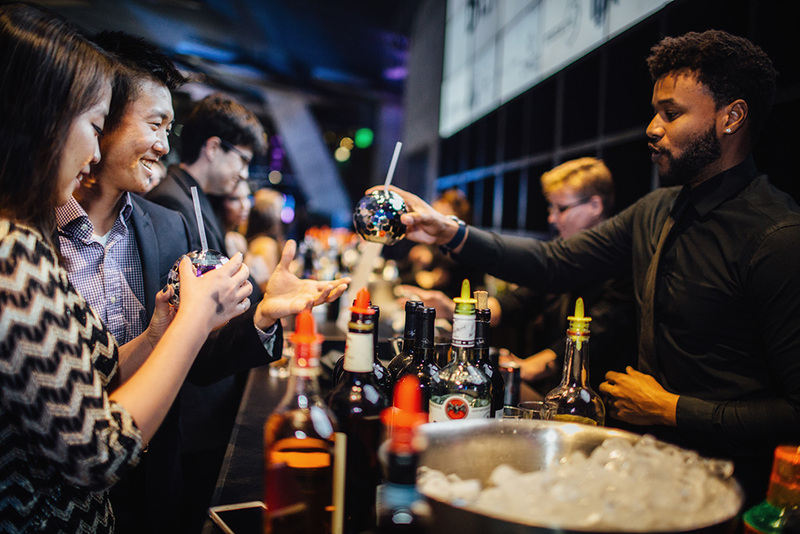 Of course, if you needed a break from the dance floor, you could visit one of the VIP lounges for a drink, snack, or just to sit down for a bit! These cookies from Cookie Whipped were the perfect grab and go snack, and I definitely saved mine to eat the next day! 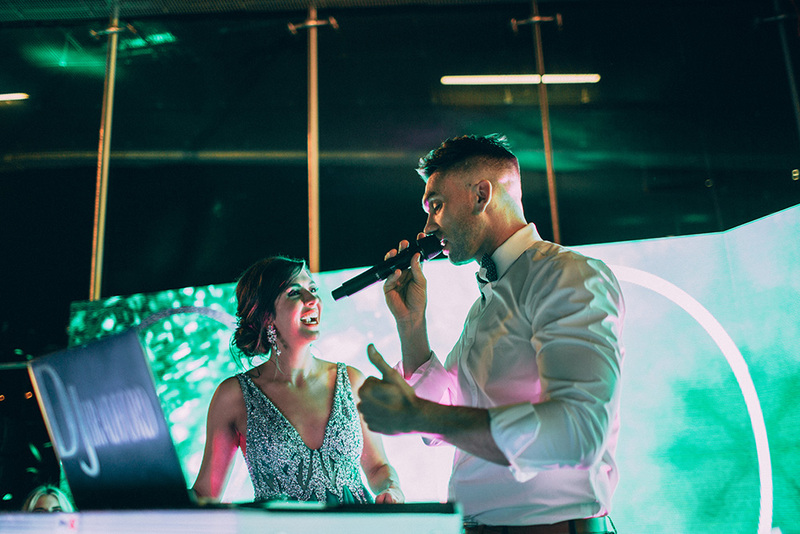 Level Four featured a photobooth from MotusRed and I'm obsessed with their 180 degree booth! See the photobooth gallery. My hair, makeup, and tan were not sponsored, and I LOVED all of it. I used @BookaBirdie to book an updo for my hair; I also used them for my makeup artist, even though that functionality is not available on the app yet; you can reach out directly and they will try to coordinate a makeup artist for you! Thank you to everyone who helped make this year's event a success! 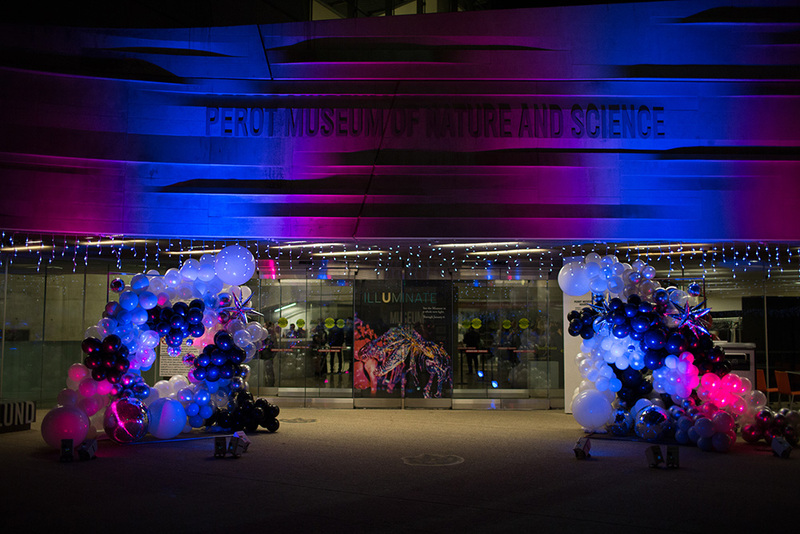 Special thank you to the Perot Museum and staff for working on New Year's Eve, to our sponsors and volunteers, and of course to our guests! Happy New Year! 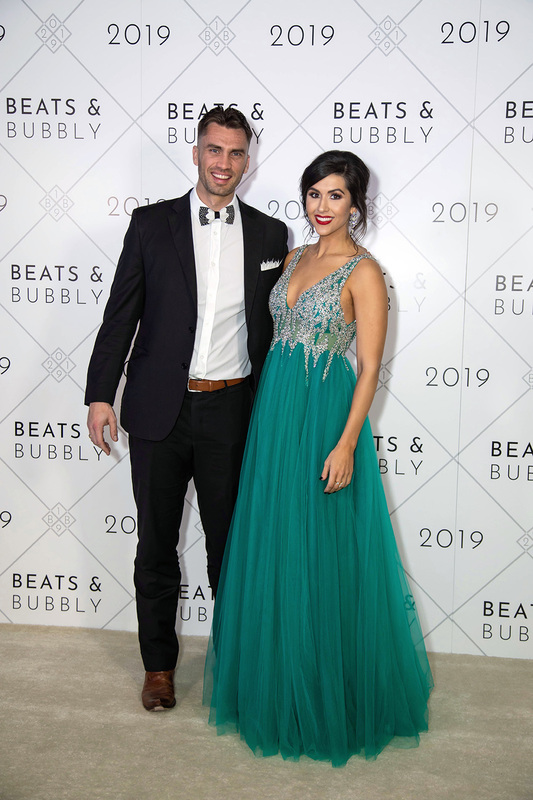 All photos by Billy Wand for Beats & Bubbly.